Are you debating whether or not to purchase a riding toy for your young child or toddler? Have you wondered if it would be a good purchase? Then this is the article for you! I will be discussing two specific vehicles options that you could choose for your child, the Power Wheels Cadillac Escalade Truck and the Power Wheels Barbie Cadillac Escalade. I want to tell you all of the specifications of these two vehicles and if they are really worth your time and money. Large rear speaker - works with trunk open or closed! First, let’s discuss the Cadillac Escalade Truck. If you want your child to look cool and feel cool, then this ride-on toy would be the thing for you. 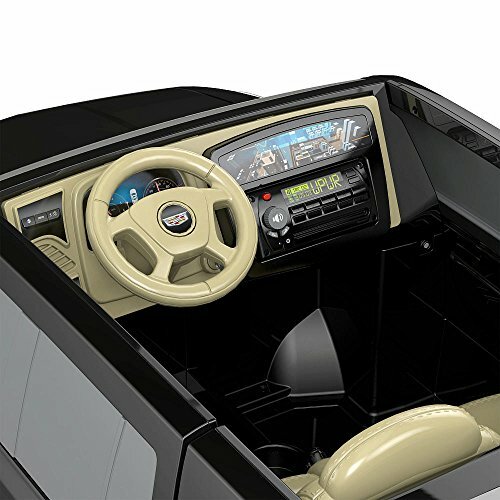 It is equipped with a real FM radio to give your kids the authenticity of driving a real car, it has doors that open and close so they can get in and out and it can seat two adorable passengers. This gorgeous truck is equipped with chrome wheels, a chrome grill and is typically a smooth black color completing the iconic look of the Cadillac Escalade. Not only does this car look nice, it has enough power for your driver to stay interested, it has a 12-volt machine that features two forward speeds (2.5 mph and 5 mph) and one reverse (2.5 mph). The top speed can be locked if you don’t trust your crazy 2 years old to handle 5 mph. It also has brakes so that your child can stop when needed. This vehicle seems like an excellent purchase so far, right? Well, hold your horses. Let’s talk about all of the things that might deter you from this product. The truck advertises its power and ability to drive through grass and through different terrains. However, it has been known to get stuck in the grass, has trouble going over gravel and can’t necessarily handle mini hills. So, if you have a gravel or steep driveway, then this might not be the best purchase for your situation. Many parents were a bit disappointed at how long it took them to assemble the product. Most commented on taking 2 (or more) hours to put together the vehicle while their impatient child sat there staring. If you are going to purchase this item then it would be best to know that you have to completely assemble it before giving it to your kid. Even though this little vehicle may not be perfect, it has had great response and wonderful reviews. 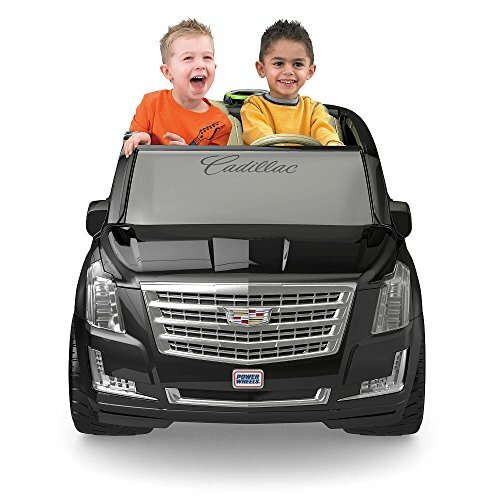 Parents and children are raving about this Cadillac Escalade Truck and are pretty satisfied with their expensive purchase. Large rear speaker – works with the trunk open or closed! So, you love the idea of a Cadillac but you have a little princess that doesn’t want the “masculine” look of the black truck. Have you thought about getting her a completely adorable Power Wheels Barbie Cadillac? Let’s take a look inside and see if this is the vehicle for you and your little girl. 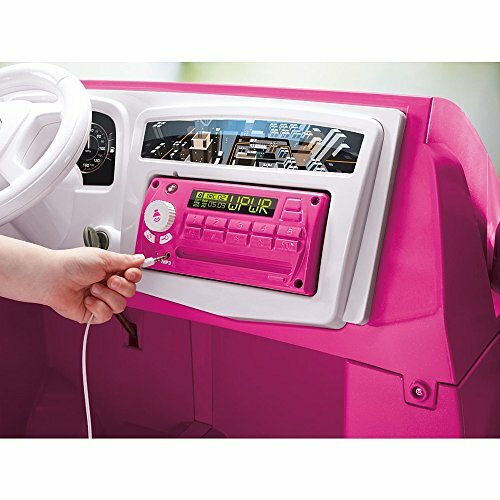 The Barbie Cadillac has a real FM radio that can pick up actual radio stations so your child can listen while they are driving along. It even has a real speaker deck! This riding toy has two working doors for the two passengers and has a beautiful iconic pink Barbie finish. It has many finishes including the chrome grill and wheels that harness the traditional look of the Cadillac Escalade. Don’t mistake its adorable pink exterior for lack of power. The Barbie Cadillac has a 12-Volt machine that can drive your little lady around with two-speed settings (2.5 mph on the first setting and 5 mph on the second setting). It also has a reverse setting (2.5 mph). Parents have the ability to lock the shift so that the little driver can’t exceed the 2.5 mph speed. It also has power brakes to help your child be able to stop when necessary. This Barbie Cadillac appears to have it all for your little one to drive around, but there seem to be a couple of complaints that many parents have had about its ability to go over any terrain. This product advertises its strong abilities, but it seems it struggles with anything that isn’t a flat and smooth surface. This is something to consider when purchasing this vehicle, especially if you have a steep or gravel driveway. This product is loved by children and adults and has little complaints. As long as you are willing to get past that hefty price tag of approximately $690 then this might be the perfect gift for your little Barbie lover. 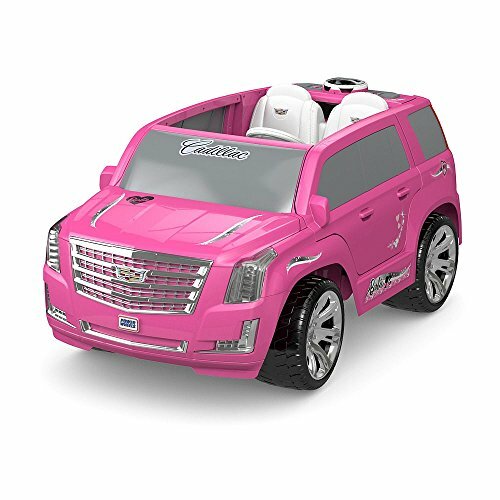 Both the Truck and Barbie Cadillac Escalades are awesome gifts for your little ones. They are safe, have good speed, and they both look slick. Your child will love this gift and they will think you are the coolest parent ever. 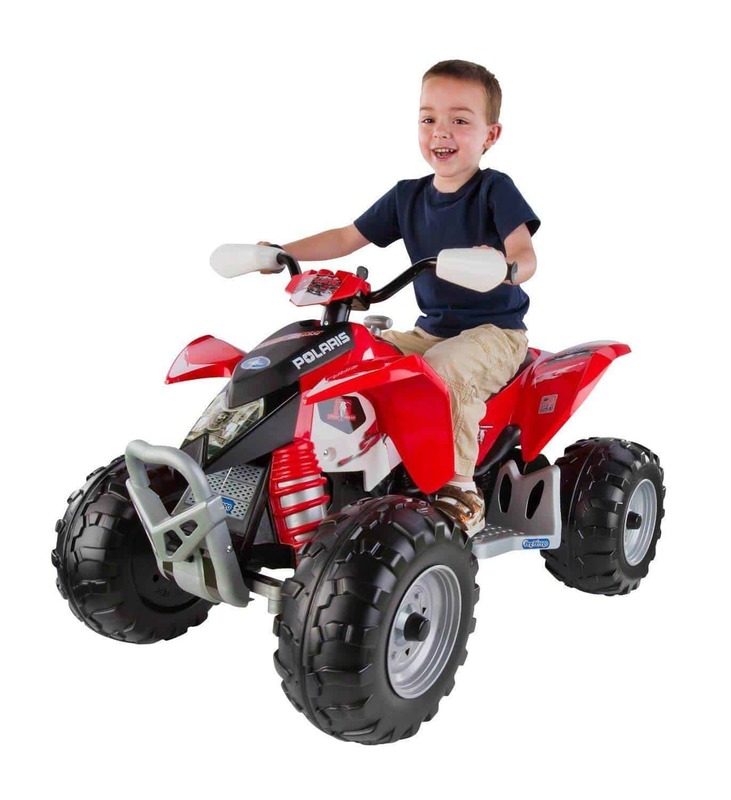 As long as you have a flat terrain for your kids to ride on (otherwise consider electric ATV ride-on toy) they will be able to drive continually for as long as the battery can live. You will not have to worry about either of these vehicles due to their parental controlled speed setting as well as their ability to break on their own. 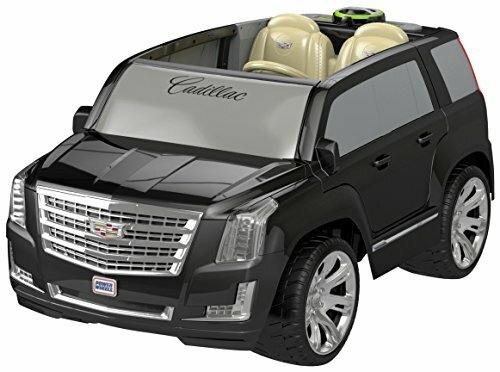 All in all, either of these Cadillac Escalades would be wonderful gifts for your young child or toddler.